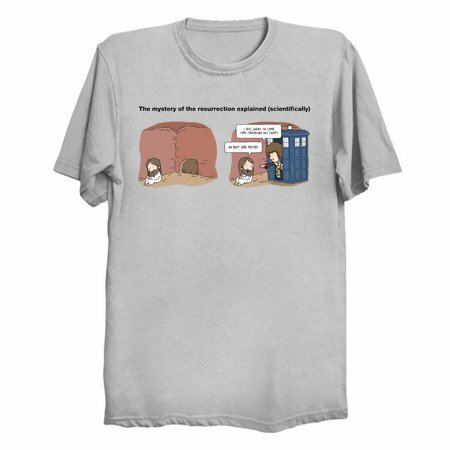 It’s one of the greatest mysteries in biblical history- how did Jesus come back to life after he’d been lying dead in a dank cave for two days, and how the heck did he get out? 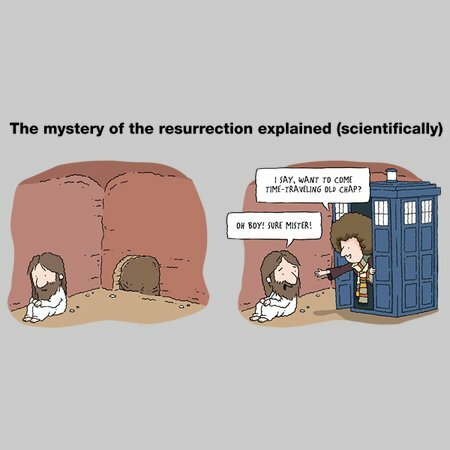 The answer to the resurrection, it seems, has something to do with a helping hand from an alien medical professional and his police box shaped spaceship. One cannot help but wonder if Jesus said “Hey, nice striped scarf, man” to that extraterrestrial lord of time when he emerged from his blue box to take the J-man on a grand adventure through time and space, but regardless of his response it’s a sure bet Jesus made one heck of a companion!